The most recent Verve Rally kicked off from the award winning members club of London Home House. Ververs embarked on an adventure to visit some of France’s most beautiful Palaces and Chateaux after a hearty breakfast at the briefing meeting and having the pink bear come wave them off. 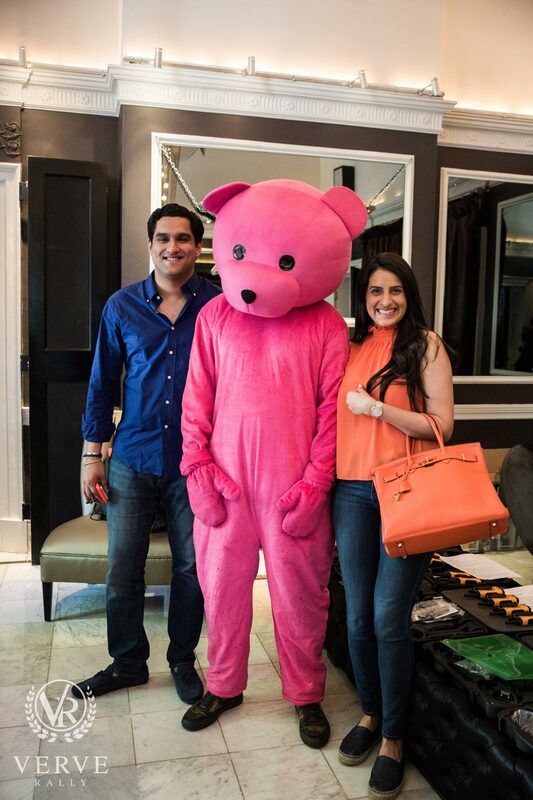 “The Pink Bear is not a man in a costume, it is an alter ego. The partially costume dressed figure is the transformation between reality and make believe, innocence and corruption. 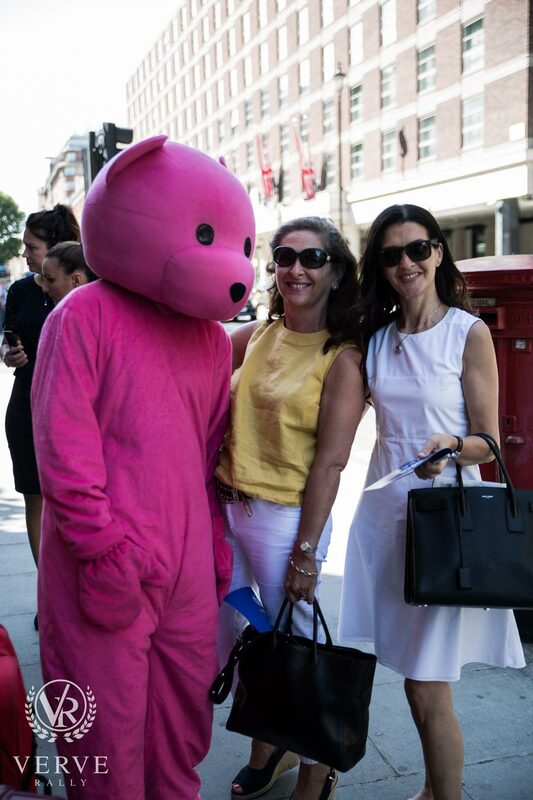 The pink bear has a whimsical sense of playfulness through its association with childhood memories, yet remains firmly attached to adulthood through the tainted surfaces that surround the character in the abstract spaces of the paintings.” says Paul.